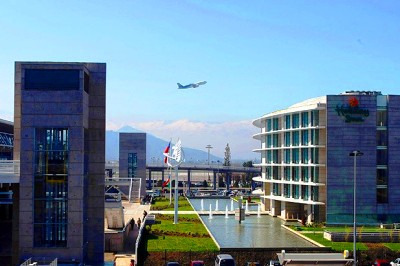 Your driver welcomes you at Santiago Airport and takes you to your hotel. An English-speaking guide will accompany you during the transfer. Visit of Chile's capital with our english-speaking guide. 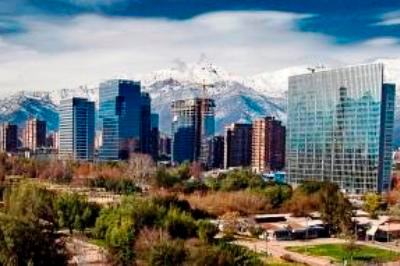 Santiago is nestled at the foot of the Andes and although Santiago has become over the years a modern and bustling city, some older neighbourhoods have preserved their atmosphere and a romantic charm. You will visit the Plaza de Armas, San Francisco Church, the colorful Bellavista area, Cerro San Cristobal among others. Night at the Galerias hotel *** in standard room. Your driver takes you from your hotel in Santiago to the airport. Domestic flight from Santiago to Easter Island (time to be confirmed). 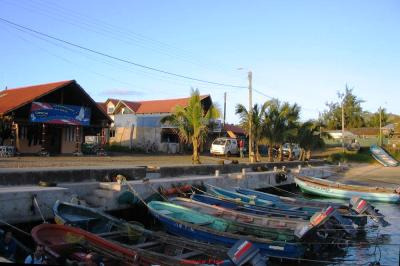 Your driver takes you from Mataveri airport at Hanga Roe to your hotel. Night at Otai hotel ***. Rapa Nui National Park entrance fees included. Morning dedicated to the visit of the village of Hanga Roa, its museum and the Tahai complex, the archaeological site closest to the village, where Moai statues face away from the ocean. In the afternoon, visit of Ahu Vinapu, the Puna Pau quarry and the site of the seven explorers Ahu Akivi, the only site of the island where the Moais are facing the sea. 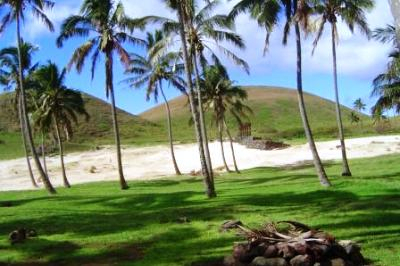 Full day excursion to discover the Anakena beach, the sites of Nau Nau and Ature Huki. You will visit the arqueologic sites of Hare Moa, Manavai, Pipi Oreko, Papa Vaka, and the Ahu Te Pito Kura (Biggest Moai). You will arrive in the bay of Hanga Nui, where the impressive site of Tongariki is. 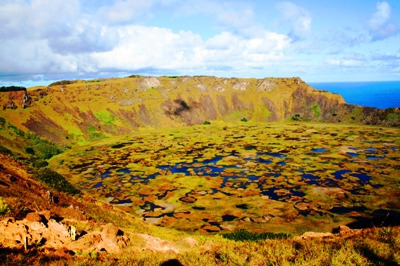 End your day at to the volcan Rano Raraku, before driving back to the village. In the morning, half-day excursion to the Rano Kau Volcano. You will first discover the spectacular crater as well as panoramic views of the island. You will then continue to the ceremonial site of Orongo, where the Birdman cult used to take place. From there, you will catch sight of the 3 Motu islets that you can reach by boat. Finally, you will visit the cave Ana Kai Tangata. There, you will have a spectacular view of the island and of the Pacific Ocean. Return to Hanga Roa at the end of the morning. Afternoon at leisure. Walk around the village, rent a bicycle, go snorkelling or diving, explore the island horseback riding, or relax by the pool of your hotel! Transfer from your hotel to Mataveri airport organized by your hotel. Domestic flight from Easter Island to Santiago (time to be confirmed, flight indicated in option). International flight from Santiago de Chile to Quito (time to be confirmed, flight indicated in option).